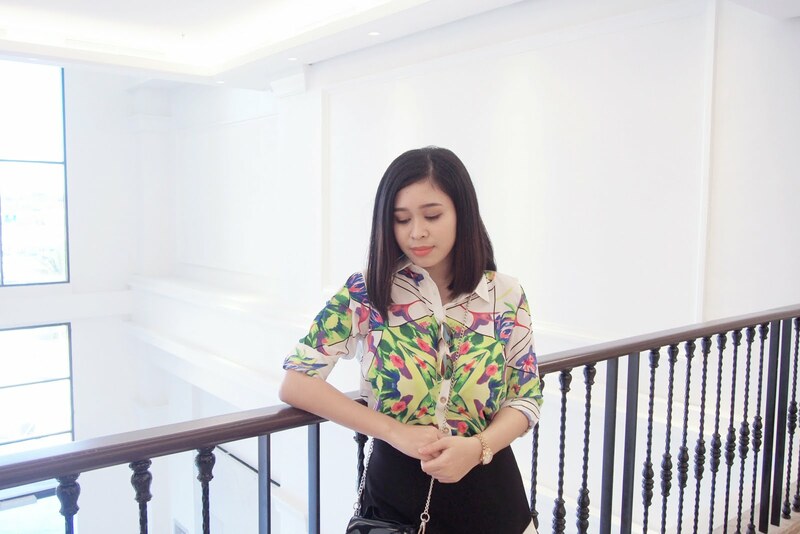 If you've been reading my blog you've probably seen me wearing this top (okay, let me link the post). Now here's the full look of it, shot at Evia Center Las Pinas by none other than my official photographer, the loml. Btw, the mall is still partially complete and some stores are still bound to open, but it's worth visiting and strolling around. So go na kayo! For this look... 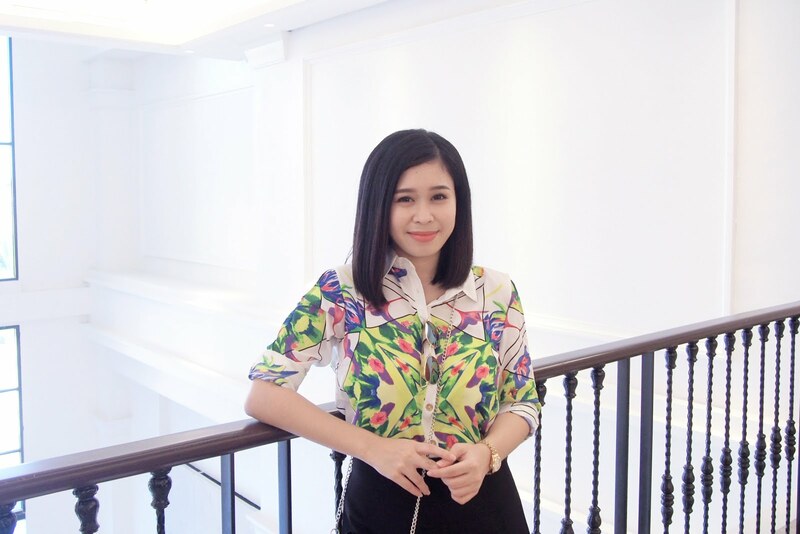 I wore a lovely floral abstract top and paired it with an black with a hint of white asymetrical skort. For my accessories, a mini hologram chain strap for my bag and sunnies I stole from my guy. 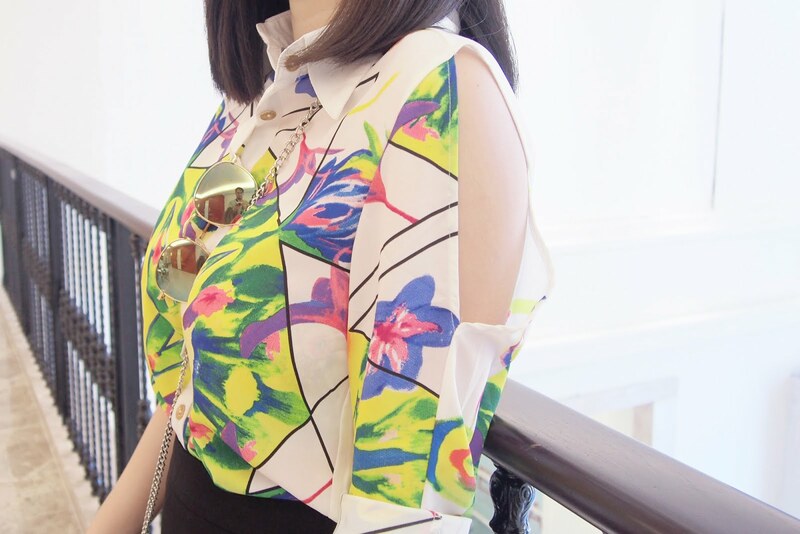 This is one of my favourite top in my closet I super love the cut out detail on the sleeves revealing some skin and making things a bit cool for me since the fabric is not the type that's malamig sa katawan. Plus the print... it's so pretty & fab! Another love of mine, this skort it's simply perfect in all angles. I love the white details on the bottom and the origami/geometric shape of the skirt pattern. I actually have a white one of it. 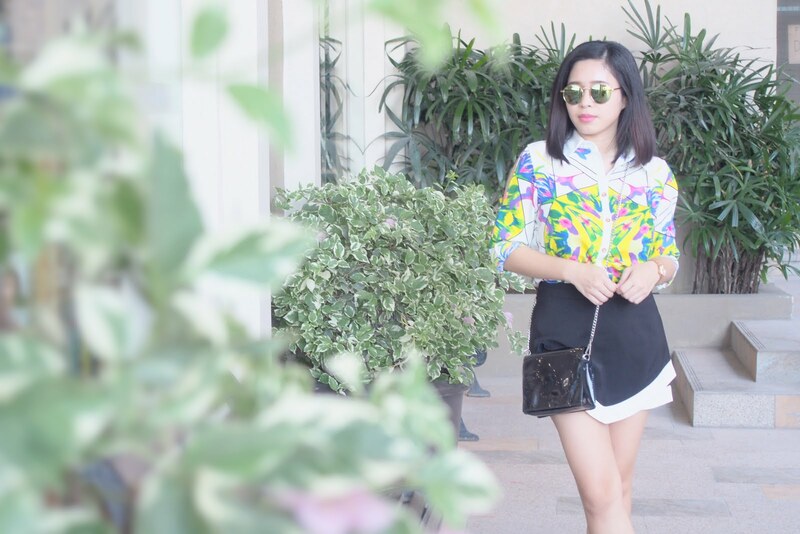 I also found a nice elegant 'monochrome-ish' ootd spot at Evia Center Las Pinas and it isn't hard to find! Benefit Cosmetics: Have Brow-mazing Eyebrows!